The Palm l TAB was assisting with BES arranging temporary staff, registration booth setup, electricity installation, furniture rental, carpeting and branding services etc. 기술 창업 전문 액셀러레이터 블루포인트파트너스가 5일 서울 블루스퀘어 아이마켓홀에서 ‘제3회 블루포인트 데모데이(Bluepoint Demo Day 2018)’를 개최하고 투자 기업 12개를 소개하는 자리를 가졌다. 이날 발표한 12개 기업은 ▲스마트농업 ▲산업용머신테크▲AR 및 인공지능 ▲바이오메디컬 기술 등 4가지 분야별로 소개됐다. TAB International executed the 2-day event (Bluepoint Demo day on Sep. 5 & Investor day on Sep. 6) in cooperation with the event host ‘Bluepoint Partners’. Bluepoint Partners is a partnership-driven startup accelerator and early stage VC fund that concentrates on bridging talented high tech entrepreneurs to launching progressive startups with real global solutions. The NCC 2017 was successfully held on Oct 23-24, 2017 at COEX (room #401, #403) Seoul Korea. It is always crucial to have great content and speakers who deliver it with passion. T.A.B. (The Advantage Bureau) International Inc. speaker bureau team, with consultancy support from KOCCA (Korea Creative Content Agency), searched & procured the best-fit global speakers as well as impressive local figures. Great team-work led to this event’s resounding success. T.A.B. thanks all the speakers for their wonderful contribution to the conference. 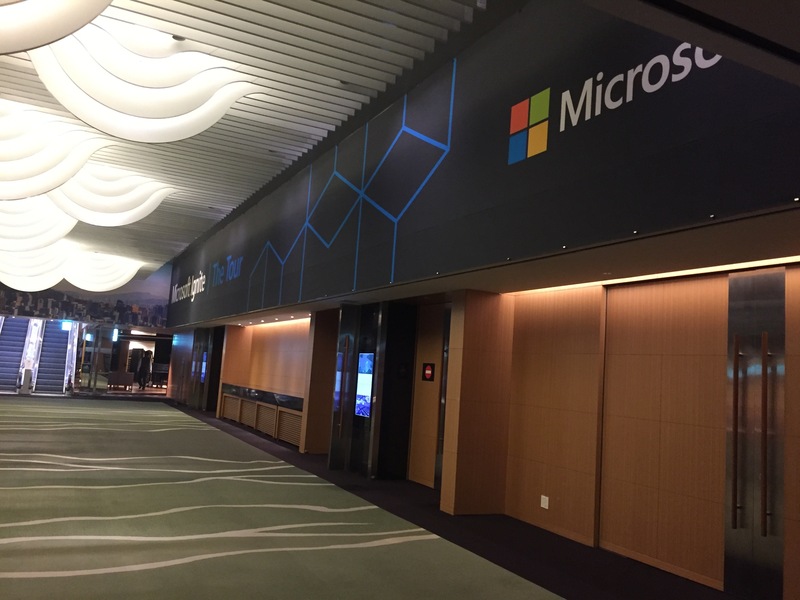 The Palm: DMC Korea arranged bilingual temp staff and registration & meeting room equipments for Microsoft Tech Summit 2017 Seoul in cooperation with BES team. 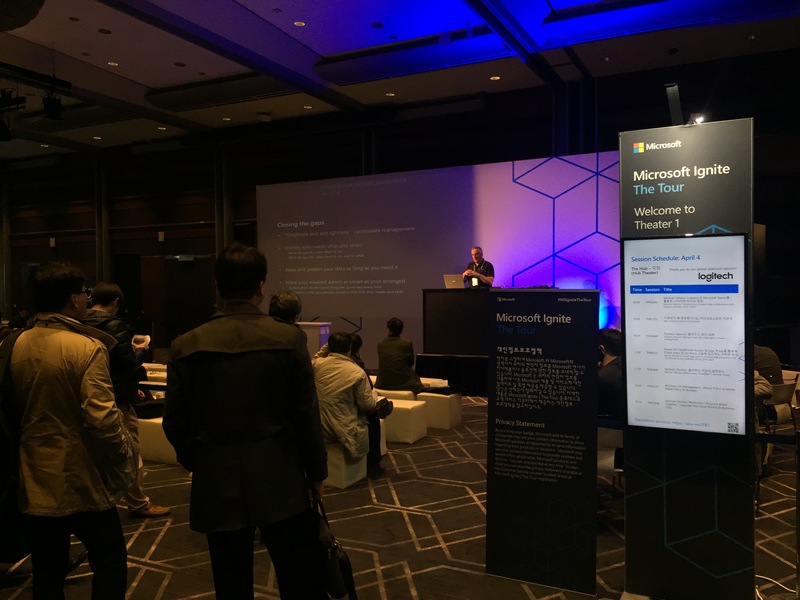 This 2-day event went smoothly in Seoul (April 27~28, 2017 at Lotte World Hotel in Jamsil) while ending up Microsoft’s worldwide city-tour in 2017. Northern Trust Korea brand office opening reception was held on Feb. 28, 2017 at Banker’s Club in Myeongdong. Over 200 guests were attended and celebrated Northern Trust’s significant night of milestone in Korea. The Palm: DMC Korea, event consultation & management company arranged with its partners in Singapre and Seoul office; venue services, branding services (incl. backdrop), AV, light, registration, floral decoration, hostess, piano trio musician team, professional bilingual emcee etc. Kathleen Wynne, the premier of Ontario, came to Seoul with a delegation of 48 business and academic leaders, eager to shore up ties with Asia’s fourth-largest economy. Her mission is expected to generate over $120 million in new partnerships. She signed 13 new agreements in health sciences and education that would add 256 new jobs in Ontario, according to the premier’s office. “Ontario is open for business and partnerships,” the first female premier of Ontario stressed. She pointed to common strengths she sees as binding Ontario and Korea together: the ability to innovate, highly educated workforces and world-leading exporting prowess. The premier and official delegation also visited Seoul History Museum to celebrate opening ceremony of the Dr. Schofiled Exhibition. IRS arranged industrial visits for the business delegation on Dec. 2 to ASTA, Korea Bio Association, Cha Bio, Samsung Innovation Museum, and LG R&D Campus. 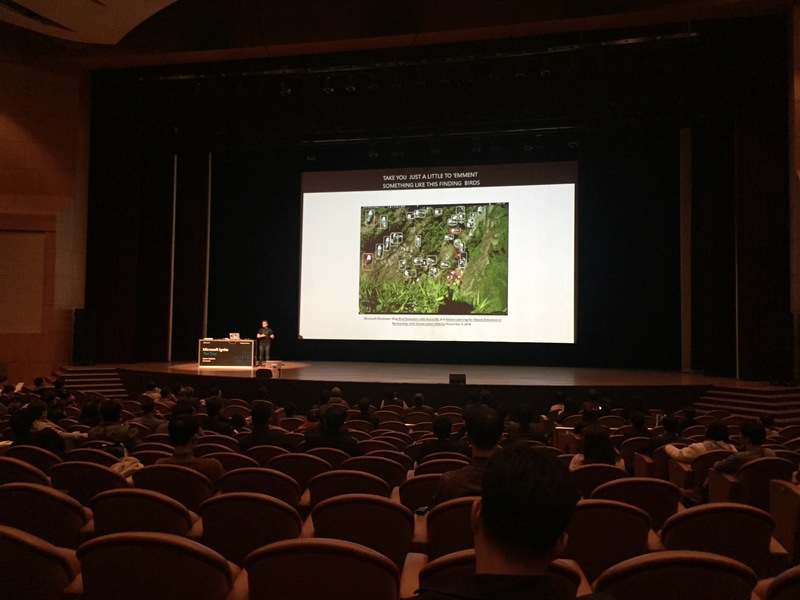 The Palm: event partner in Korea, part of GCP International, executed all events’ management smoothly and professionaly with its Canada partner, National Public Relations Canada (event venues: Four Seasons Hotel, Seoul Museum of History, various site visits). Bluepoint Partners Demo Day event was successfully held on Nov 2, 2016 at the Grand Ballroom of Imperial Palace Hotel. 블루포인트파트너스는 바이오 및 메디컬, 센서, 가상현실 및 증강현실, 인공지능, 로봇과 드론, 첨단소재 등 다양한 영역을 망라하는 30여 개의 딥 테크 스타트업으로 이루어진 포트폴리오를 보육하고 있는 밀착형 엑셀러레이터 입니다. 블루포인트 데모데이는 2016년 11월 2일 임페리얼 팔레스 호텔 그랜드 볼룸에서 ‘Starting Point’를 주제로 문규학 소프트뱅크벤처스코리아 대표의 창업에서 중요한 기업가 정신과 기업철학에 대해 ‘당신은 기업가인가’라는 주제로 키노트스피치를 시작으로 블루포인트파트너스가 작년 2015년에 투자해 엑셀러레이팅 과정을 거치고 성장한 딥 테크 기업 발표와 국내 창업 업계에서 활발하게 활동 중인 스타트업 대표들을 초청해 창업 생태계의 동향과 기술 융합을 주제로 토론하는 시간이 마련되었습니다. LOT Polish Airlines celebrated the opening of its new Warsaw-Seoul route with a fitting cultural collaboration at Lotte Hotel in central Seoul on Tuesday October 18, 2016. LOT’s official event partner The Palm: DMC Korea arranged an exquisite Chopin performance featuring the award-winning pianist Yesol Lee. Then Jihyun Kang serenaded guests with her skills on the gayageum, a delicate Korean string instrument. After attendees enjoyed some Polish and Korean cuisine, our MCs from Seoul’s tbs eFM — Alex Jensen and Punita Bajaj — ensured a fun-filled finish by leading some games on stage. It was certainly an auspicious occasion for an airline that promises to boost an already strong connection between Poland and South Korea. The EU Delegation to Korea organized a bike ride event, EU photo exhibition and the Roundtable discussion on sustainable mobility: Reducing Emissions from transport in EU and Korea. The events are part of the EU’s global initiative – ‘EU Climate Diplomacy Week’ aiming to raise public awareness on climate issues. Seoul Car Free is celebrated worldwide – World Car Free day of 22 September – and the Seoul City is proud being part of it jointly with the European Union. Mayor Park together with EU Ambassadors representing 17 countries rode Seoul City bikes with the EU’s chosen slogan of ‘Burn Calories: Not Petrol’. The EU photo exhibition on green architecture ‘Sustainable Living Space in the EU’ was held in Seoul from 25~29 September and is to be continued in Busan from 7~12 October. The exhibition consists of 29 photos of ‘green’ buildings provided by 17 EU Member States. (Austria, Belgium, Czech Republic, Denmark, Finland, France, Germany, Greece, Italy, Latvia, the Netherlands, Poland, Portugal, Slobakia, Spain, Sweden, United Kingdom). If there’re any comments on EU Climate Change photo exhibition, please reach us at euccop@gcpiasia.com. The half-day roundtable invited renowned academics, business, government officials as well as EU officials for discussion. Notably, Dr Joëlle Hivonnet, Political Head of the EU Delegation presented the European Strategy for low-emission mobility, while Dr Young-Tae Kim, Deputy Director-General at Ministry of Land, Infrastructure and Transport outlined Korea’s transportation policy for green-house gas emission (GHG) reduction. In addition, the European and Korean experts presented specific cases and technological aspects of low-carbon mobility. Tomorrow’s India’s Global Summit was held in Korea (Incheon Songdo, Seoul, Gyeonggi) from September 25~29, 2016. Tomorrow’s India’s official event partner The Palm: DMC Korea arranged its partner’s every need i.e. logistics, brandings, temporary staff, technical equipment, event crew, gala dinner preparation, young artist as well as communicated with various event venues including hotels for the whole operations. The 5-day event (business delegation and student group) went smoothly and ended with a big smile. In order to celebrate the 71th anniversary of Korea’s Independence, the National Museum of Korean History hosted a special music concert on the Korea’s Independence day on August 15, 2016. The world-class young music artists: violinist Jihye Lee and pianist Taehyeong Kim performed Violin Sonata in A Major (C. Franck), Habanera Op.21. No.2 (P. Sarasate), Hungarian Dances No. 2,3,5 (J. Brahms). The Palm assisted with organizing the event: full set-up and decoration, professional emcee, special assisting agent (artist) for taking care of music artists, leaflet graphic design & printing, sound system crew etc. Brisith Lifestyle Showcase and Market visit to South Korea was hosted by UK Trade & Investment, the event took place at British Ambassador’s residence in the heart of Seoul. Along with exclusively chosen 25 UK boutique brand exhibition, there were media briefing, cocktail reception & B2B meetings. The Palm assisted with Anne Ritchie (mission project manager) organizing and advising the whole event including VIP invitation, brochere printing, registration, bilingual staff, floral decoration, special outdoor exhibition setup etc. Rotary International is a worldwide organization of business and professional persons who provide humanitarian service, encourage high ethical standards in all vocations, and help build goodwill and peace in the world. GCP International is an official partner of Rotary International assisting with its 107th annual International convention in Korea, which was held at KINTEX from May 26 ~ June 1, 2016. Ban Ki-moon, United Nations (UN) Secretary-General addressed nearly 50,000 Rotary members from more than 160 countries at the open of the humanitarian service organization’s 107th annual international convention at KINTEX. About GCPI: GCP International (also known as “The Palm”) is a comprehensive events and communications company serving the needs of private businesses, governments, and nonprofit organizations in the areas of event exhibit management, strategic communication, and temporary staffing services. The Palm’s temporary staffing services based in Seoul, Korea help clients reach set objectives by helping to provide with suitable staff members for their needs. The Palm strengths lie in its ability to work with international clients in particular, due to its English language capabilities. The opening ceremony of special exhibition “History of Korea’s election” was successfully held on 14 March 2016 at the National Museum of Korean Contemporary History, co-hosted by the National Election Commission and the Museum. Sand animation art was performed while music band (chorus) were singing 3 songs (election song (1960), my world (campaign song 2007) and voters song (2012) consecutively. 대한민국역사박물관과 중앙선거관리위원회가 공동으로 주최하는 대한민국 선거의 역사 특별전 개막식이 대한민국역사박물관에서 3월 14일 개최되었습니다. 음악밴드가 선거의 노래 (1960), 내가 선택한 세상 (캠페인송 2007), 유권자의 노래 (2012)를 메들리로 부르며 동시에 샌드에니메이션 축하공연도 펼쳐졌습니다. Heungnam, the Winter of 1950 special photo exhibition will be held from 15 Dec 2015 ~ 28 Feb 2016 at the National Museum of Korean Contemporary History and its opening ceremony took place on 14 December 2015. Opening welcoming remarks, tape cutting, group photo, vocal band performance, VIP exhibit tour, snack time were prepared. The Palm is often asked to provide with temporary staff (hostess), which is categorized (1) university students (English level – basic to fluent) (2) 2-3year experienced (English level – basic to fluent) (3) professional hostess (at least 5 years of experience, English level – basic to fluent) (4) business consulting partner (fluent English, can be contracted on a project basis). The Palm is happy to provide with the most suitable temporary staff for client’s every need. 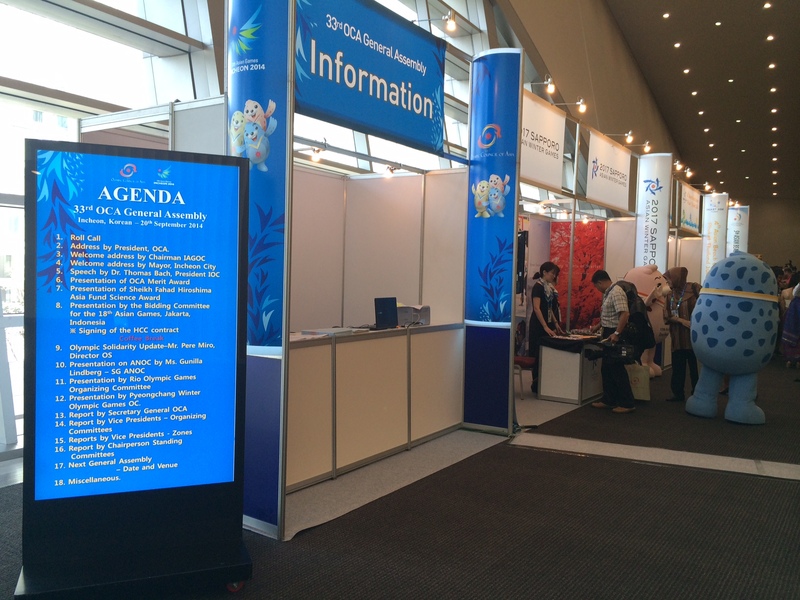 The Palm: DMC Korea provides professional staffing services for the event “APCM-ISPD 2015 (The 7th Asia Pacific Chapter Meeting of International Society for Peritoneal Dialysis)” assisting with our partner “AMICULUM”, which takes place on Sep. 17-19, 2015, Daegu Expo. The 52nd Korea Law day celebration 2015 was successfully conducted on 24 April 2015 at Grand Hall, Supreme Prosecutors’ Office, Seoul. Our professional crew was praised “It was a flawless & 100% satisfied event” by the clients. The keys of event’s success were professional event experiences, rehearsals like real one, great teamwork and communications. Event management services: backdrop, LED TV, performances (sand art, multi-national children choir), video filming, live camera broadcast, sound system, graphic design, professional event team. 제3차 인도 월드 티커피 엑스포 2015에 전시참가할 회사를 모집합니다. The Palm assisted Deutsche Bank Singapore office with arranging its conference on Friday, March 13, 2015 at Grand Ballroom, Plaza Hotel Seoul. In alignment with the rapid growth of the FLNG market, the FLNG Asia Pacific Summit, which was held on 21~23 October 2014 at Sheraton Seoul brought together key stakeholders from around the world to share project updates and the latest commercial and technical innovations in the FLNG space. 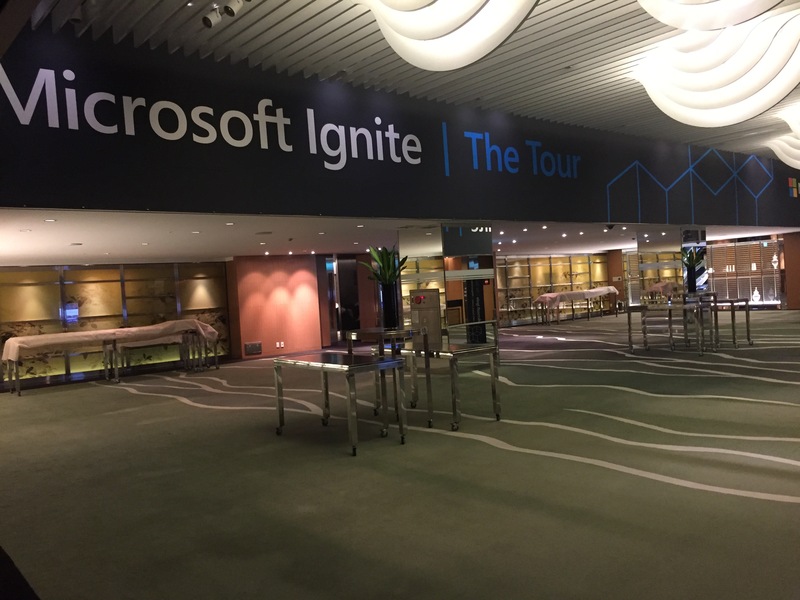 The Palm: event services based in Seoul assisted FLNG Singapore team with its preparation. 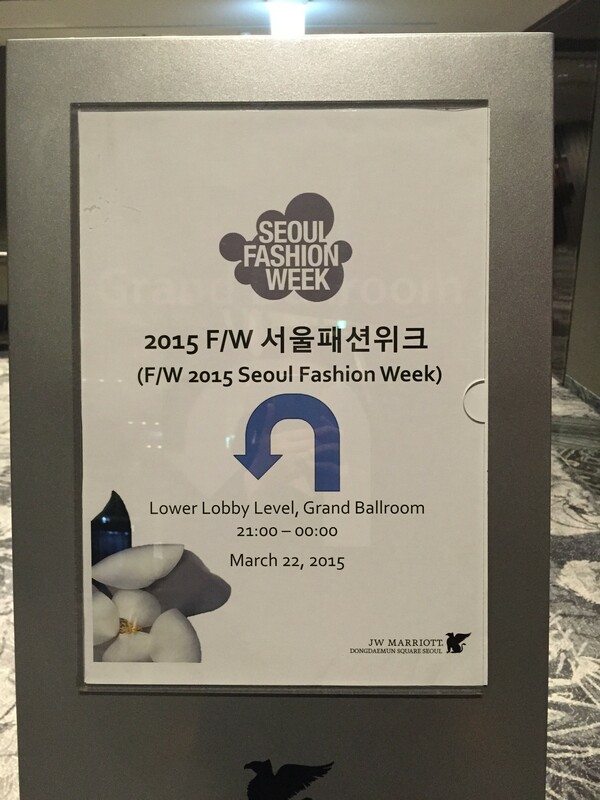 The Korean Financial Innovation and Capital Markets Forum was held at Conrad Hotel Seoul on 30 September 2014, it came to a successful close, bringing together over 200 global and Korean issuers, economists, institutional investors, and bankers, to discuss the latest innovation of the Korea capital markets – development of an offshore RMB hub. Chairman Shin Je-yoon of the Financial Services Commission and Dr Han Seung-soo of Standard Chartered, open the summit. The panelists shared their views on Korea’s offshore RMB market, highlighting the country’s intrinsic advantages and favourable environment as it flourishes as the next major RMB clearing centre in North Asia. Issuers shared their outlook on the growth of RMB as a major funding currency, and the types of international issuers who may access RMB funding. Key financial institutions spoke about the significant investment interest and trends in the growth of RMB denominated assets and products. The sponsoring bank also hosted a workshop to discuss the onshore China bond market and the evolution of RQFII. The Palm assisted organizing the whole event of Euromoney Conference, Euromoney’s first event in Seoul Korea. The highlight of 17th Incheon Asian Game “General Assembly of Olympic Council of Asia” took place on 20 September 2014 at Songdo ConvensiA Incheon. About 500 people: OCA, including 45 member country representatives gathered. The Palm assisted with Incheon City Council preparing for the whole OCA General Assembly as well as executive Olympic Commitee Meeting.